Well done to those who turned out to make it double figures at Otley, heard it was quite testing at times as the gusts came through!. Well it is Hollingworth this Saturday, Mirror Northern Travellers 3. This is the last for a month as we head into exam time!!!! So if you can, try and make this another well attended event. 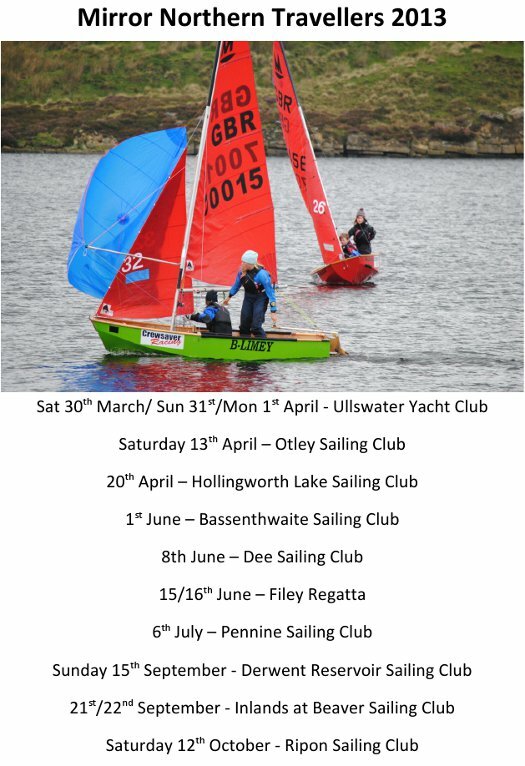 Hollingworth is a great venue and slap bang in the middle for both East and West boats to come together! Have fun, I'm at work, but Team Grayson will be across. I hope everyone has thawed out from the Northerns at Ullswater over the Easter weekend! 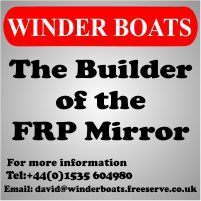 This Saturday we have the second of the Mirror Northern Travellers, which is being held at Otley Sailing Club. I have put some early events in the calandar as exams will be on us soon. 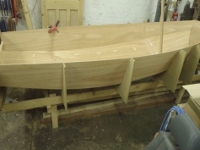 So before you get 'LOCK DOWN' for revision, come and have a sail with your mates. It is going to be far warmer than Ullswater! Look forward to seeing you there, Team Grayson. P.S. Single handers are always welcome, to knock that Rob Dean of his pedestal, as he is now Northern Mirror Champion 2013, as of last weekend, well done. Details of the Northern Travellers 2013 have now been finalised. You can also download the poster (above) and put it up in your club.